The main purpose of the website links count checker is to identify on many links are there in site including internal links and external links. It specifies the total links on the particular website so that it is to be reviewed for optimizing. As the name suggests, website links count checker is an efficient tool to count the number of internal and external links on the webpage. So a webmaster or the owner of the site can identify the number of links present on the webpage. The tool displays a total number of links, internal links, and external links of the webpage. Linking too many internal and external links results into a low-quality webpage. So the most important that webmaster will look into the quality of links posted, it may be internal or external links. To rank higher on search engine rankings, add more high-quality contents with internal and external links, make sure the links are relevant and high-quality links to boost your webpage traffic organically. 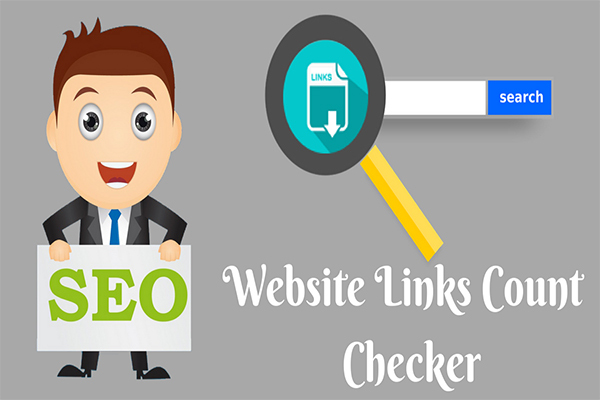 The website links count checker is highly beneficial to improve Seo traffic organically, the main aim of this tool is to scan all the internal and external number of links on a particular page and displayed to the visitors. Along with that, it displays the total count of links present on a particular webpage. If the external links do not appear on the page, it displays 0 and only shows the number of internal links present. Cool Seo tools offer this tool at a free of cost without any restrictions to use this tool. It is very useful for Seo guys, website owner or the webmasters to look and analyze the links on the page. On average, the number of external links present on the webpage should be around 2-3 links for every 100 words of contents, but if the links are more than the average it results into fall of ranking. To get all necessary information on the links count, the tool is very helpful in identifying the number of internal and external links. Link building is one of the key SEO factor and most tricky part of SEO success all you need to follow guidelines to create link building with both do-follow and no-follow techniques will have a good impact on search engine rankings. The tool is specifically designed to identify both internal and external links appeared on the page. If your content is less and having more internal links will affect your seo rankings slowly over time. So, ensure to maintain the right amount of links to boost seo visibility in search engine. If your site has too many duplicate links, then there is a chance of a decrease in your organic rankings. So eliminate as much as repeated links and use only unique links to gain genuine authority for your site. Why should we need a website links count checker tool? Suppose you have lots of internal links on the webpage with less content it may result in spam. Because of google algorithms like panda or penguin looks for high-quality sites and links. Suppose if your site is low quality with a lot of links it will affect your rankings. The best method is to find all the internal and external links through our website links count checker tool. Google uses algorithms to identify high quality and credible sites with google links on the sites; if your site does not match with the requirement you will see the drop in rankings over-time. If you find a website or a webpage with a bad linking structure like internal and external with low-quality content then it is not good for SEO optimization. So you make sure you detect such pages and follow SEO guidelines to improve the rankings. Providing relevancy internal links for a particular keyword is also more important for further optimizing a website. Wrong linking structure with 'n' number of low-quality links on the page will be blacklisted by Google algorithm such as panda and penguin which will be difficult to recover in the long run. So Make sure you do the right SEO audit before linking in the content or take a piece of advice from the SEO experts and link accordingly. Once you linked all the relevant links with a particular keyword then make sure you check with the website links count checker how many links are there on the web page. Suppose you have an article of length 1000 words then make sure internal link only 20 to 30 on an average for better SEO Optimization. With the help of "website links count checker", it is very easy and fast way to check all the links on the webpage. Since it is a free seo tool to check how many are there in a given page, and also analyze how many quality links posted on the site. Suppose you are running a bookmarking or directory sites, analyzing quality links on your site should be seo friendly. If 'farm links' exist on your site, it should be eliminated and optimize your site according to seo guidelines. Otherwise, it can harm your site and result in blacklisting. What are internal and external links means according to Moz? Internal links or nothing but interlinking all the pages one and another creating a strong bond between the pages. So the user and search engines can identify, understand the pages according to the technical SEO terms. External links to the links given from one site to another in a form of anchor text to pass a value along with your content. To use the tool just specify the URL and click submit button then you are good to go. If you want to identify a number of links appeared on your page, just use our link analyzer tool to know each and every link with a do-follow or nofollow message. And even you can export into. CSV format for analyzing the links in an easier way. How to use website links count checker tool? The tool is very easy and seo friendly tool, just enter the required elements in the text-box and submit it. Our tool will run in the background which process your requested URL and fetch the result to the user. The obtained result is the total number of links, internal and external links. Total links - Total links are a combination of both internal and external links. It calculates a total number of links on a given webpage or site. Internal links - The Internal links tell the number of links given within the site pages. It man be website navigation menus, footer links or any links from the content of the page. External Links - The external links tells the number of external available on the site or webpage. It is the link given to other sites as a key element of seo optimization, but make sure they are relevant and valuable to the user. Our tool does not specify the given links are no-follow or do-follow links. Enter the captcha code in the box. How website links count checker works? The website content may have many links which are linked to a particular webpage. Suppose if the site is accepting guest posting, it is necessary to know the links present on the page has less or more links. If it more links and not relevant, it may not require to link for that webpage. So only provide necessary links on the content rather than posting blindly. Manually counting the number of links on a given page takes a lot of time. Than analyzing internal and external links which takes your valuable time. So it is necessary to use this kind of tool to minimize the time. Many SEO experts think providing too many external links on the page decrease value and impacts seo rankings. The tool is completely free of charge and available 24/7 online. It gives accurate information on both internal and external links within seconds. It can differentiate the number of internal and external links. Works faster and helps you to finds the total number of links. Reduces time to count a number of links on the web page. The tool will help you to check an unlimited number of web pages without any restriction. It helps you identify the number of external links, but too many external links result in 'link farm' which is not good for SEO. Webmasters and SEO experts can analyze the links count and take necessary action.